Over the past year we, as a nation, have been inundated with racially charged crimes. #Ferguson, #MichaelBrown, #TamirRice, #EricGarner, #Charleston, #SandraBland, and #blacklivesmatter fill our social media feeds. Racial issues long thought to be overcome with the soaring speeches of Dr. King and Malcolm X, and the historical election of President Obama imply we have moved forward as nation. But have we? In Ta-Nehisi Coates’ #1 bestselling Between the World and Me, Coates gives an unflinching account of what it means to be black in America. Between the World and Me contains a letter to his son, inspired by James Baldwin’s letter to his nephew published as The Fire Next Time. Coates’ work is not a call to reconciliation but to survival. The author describes the deep rooted and omnipresent fear of living in a black body, a body that can be taken and battered without a moment’s notice and with no explanation. 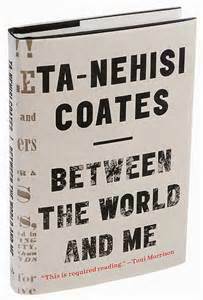 Coates calls his teenage son to both vigilance and to remembrance of a raw and painful national history. Between the World and Me is not easy or pleasant reading but it is vital reading. 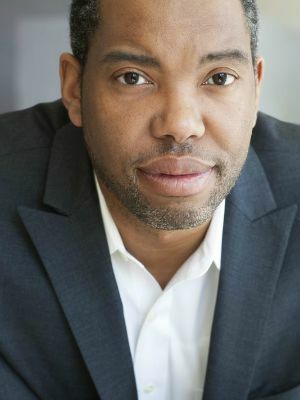 Coates gives majority culture a glimpse into conversations being held behind closed doors in minority America. His poetic style and blunt pain allow the reader to expand their understanding of our nation’s narrative and the harsh reality of being black on its shores. Many of Coates’ stories echoed those I heard when I worked in some of Chicago’s roughest neighborhoods. I found myself nodding and recalling painful conversations with friends whose life experiences were miles from my own. I was so deeply struck by this work that I immediately reread it; a first for me in my long reading history. It is a book of such importance that you don’t want to miss a word or nuance. The setting aside of one’s preconceived notions and listening, really listening as one listens to a respected teacher, is necessary in reading Between the World and Me. Wanting to understand another’s story and not merely the desire to preserve our own is vital to truly experience Coates’ world. It’s a book that demands to be heard. There are times when Coates paints with a broad brush, to be sure, and just as many times when his searing narrative takes the reader’s breath away with its poignancy. In describing the murder of his college classmate, Prince Jones, he speaks of the investigation into the officer, who shot Jones 16 times, as half that of the investigation into Jones. This rang true as I reflected on the cases of Trayvon Martin, Freddie Gray, and Michael Brown and the obsessive media treatment of the victims. I would love the world Coates describes to be one of fiction but that is naïve. Instead I will sit with Coates’ truth, thank him for his raw honesty, and know I am better off for having been invited into his world and having heard his story.